Before buying a house and making it your home you want to gather as much information as possible. Moisture under the house or in basement? Signs of a leaking roof? Problems with heating or air conditioning? Structural problems in foundation or basement? All of this is not meant to replace the professional home inspection. Then, once a decision to buy is made, hire a professional home inspector who will give you an objective and comprehensive report. 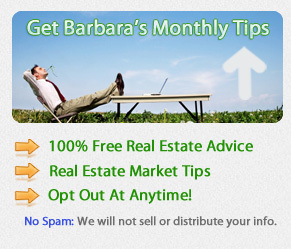 Should you have any questions related to buying a home in Santa Barbara, or tips on financing the purchase of a new home, contact Barbara Reaume at 805-610-5403.